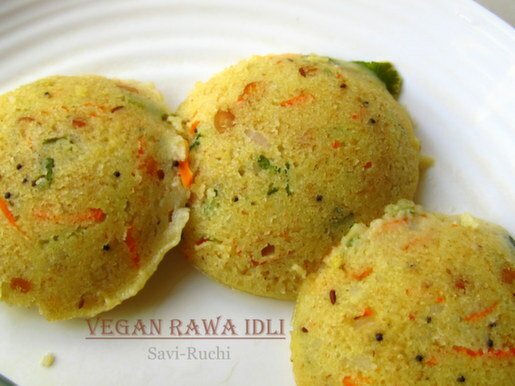 How to make the popular Rawa idli? I got a sudden craving for rawa idli one day and decided to do it the same evening for dinner. As usual roasted the rawa, only to find out that there was no yogurt in my pantry. The determined me decided to make rawa idli without yogurt. 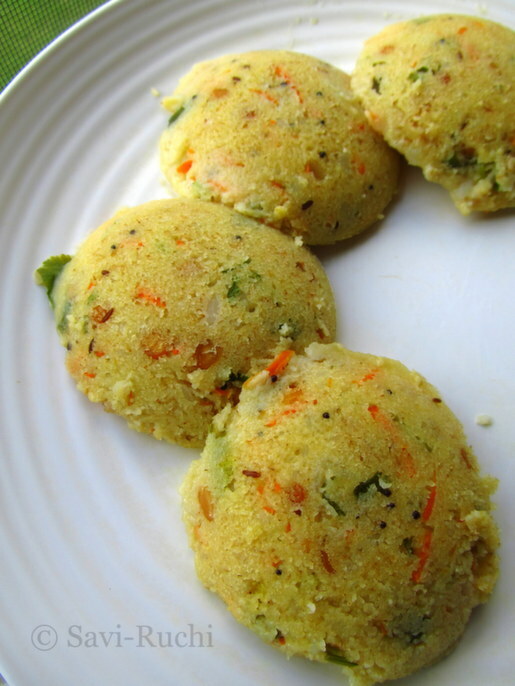 The idli turned very spongy and soft even without the yogurt. Do want to know, what did I substitute yogurt with? Jump to the recipe!! 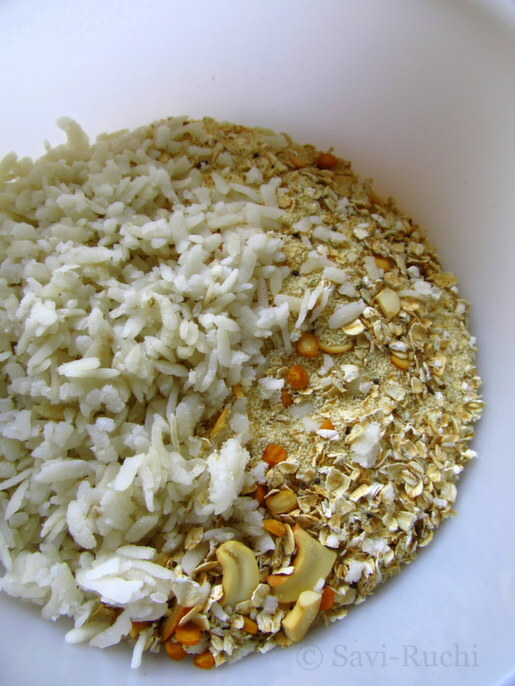 Wash the rice flakes thoroughly and soak them in water for 5-10 mins. Heat oil in a broad sauce pan or wok. When oil is hot, throw in the mustard seeds, urad dal, and channa dal. When dal turns golden brown, add the cashew nuts and mix until the cashew nuts turn golden brown. Add the rawa to the pan and roast the rawa on a medium heat for 3-4 mins. Add the oats and roast again for a minute. 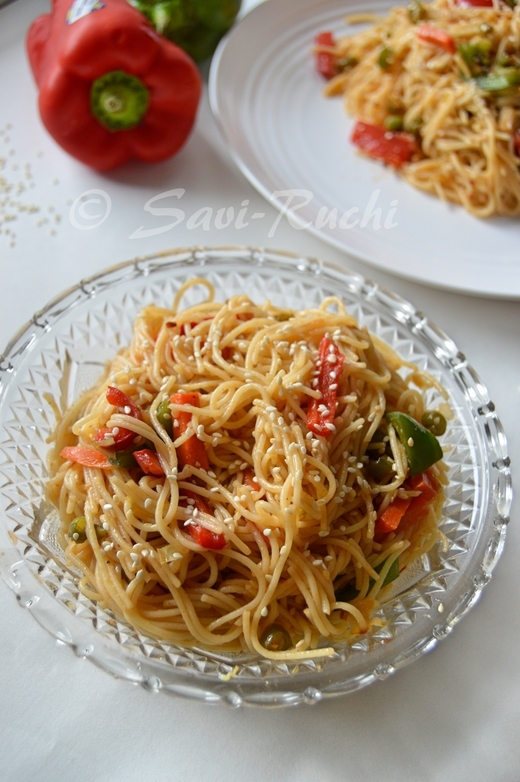 Remove the roasted rawa from the heat. Allow it to cool completely. 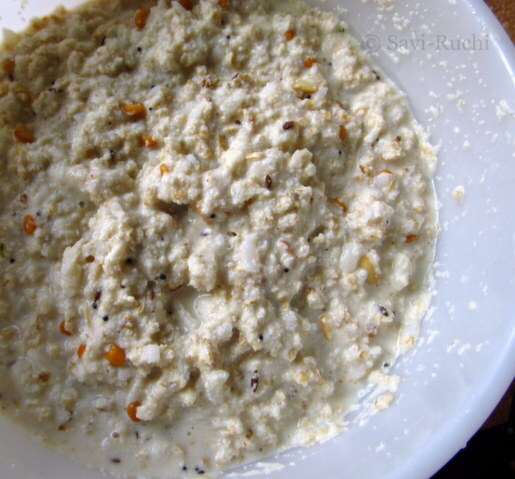 Drain the water from the rice flakes (poha) and add it to the rawa mixture. Add about 2 cups of water to the rawa and mix well to make a thick batter. 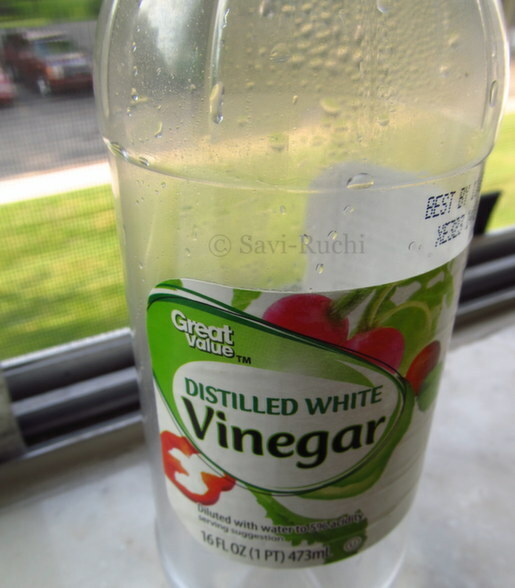 Mix the vinegar with a quarter cup of water and pour it to the batter. Mix again and allow it to rest for 20 mins. Put water to the steamer (or idli cooker or pressure cooker). Turn on the heat and let the water boil. 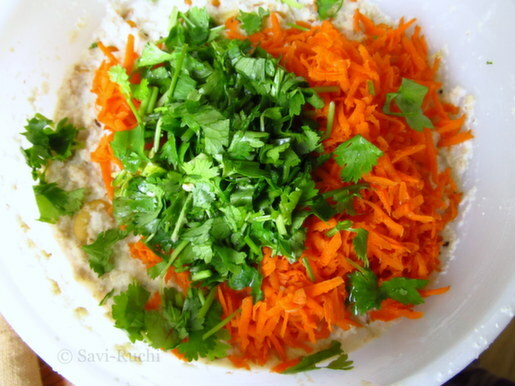 Just before making the idlis, add the salt, more water, grated carrots, and finely chopped coriander leaves to the batter. Mix well. Finally, add the Eno fruit salt to the batter. Whisk the batter well. Grease the idli moulds. 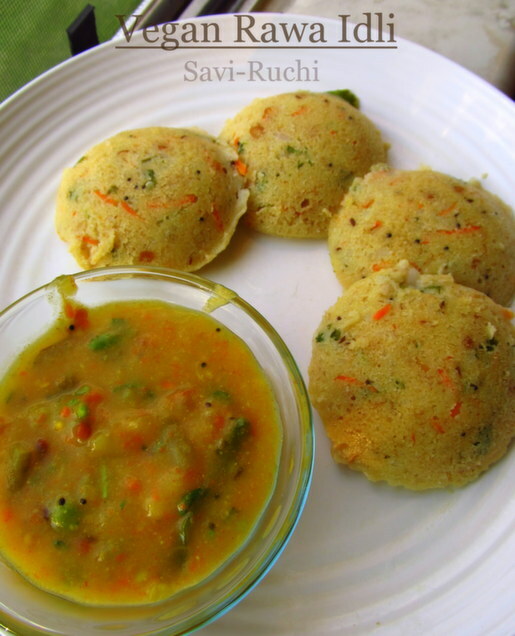 Pour about 2-3 tbsp of batter to each mould and steam the idlis for 15 mins. After 15 mins, turn off the heat and allow the steamer to cool for 5 mins. 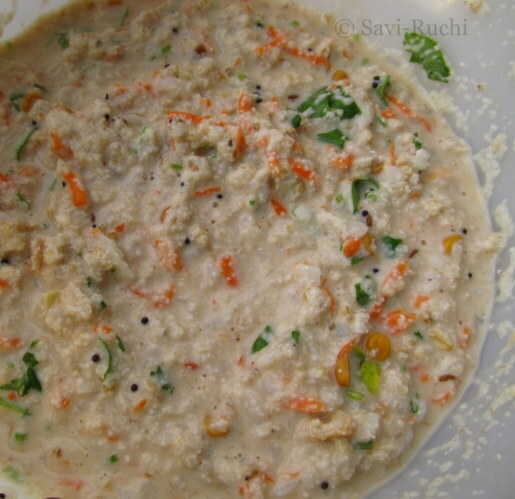 Scoop out the idlis and serve it with chutney of your choice. If you are using pressure cooker to steam the idlis, refer this post. 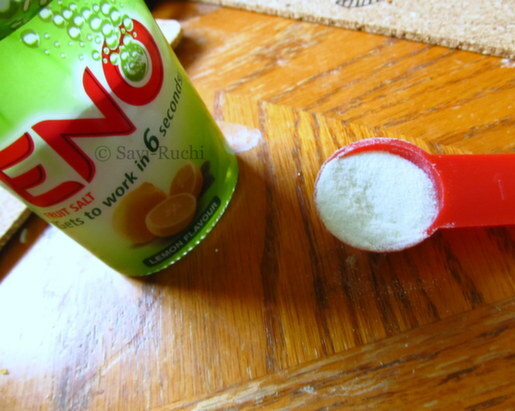 You can substitute Eno Fruit salt with the same amount of baking soda. 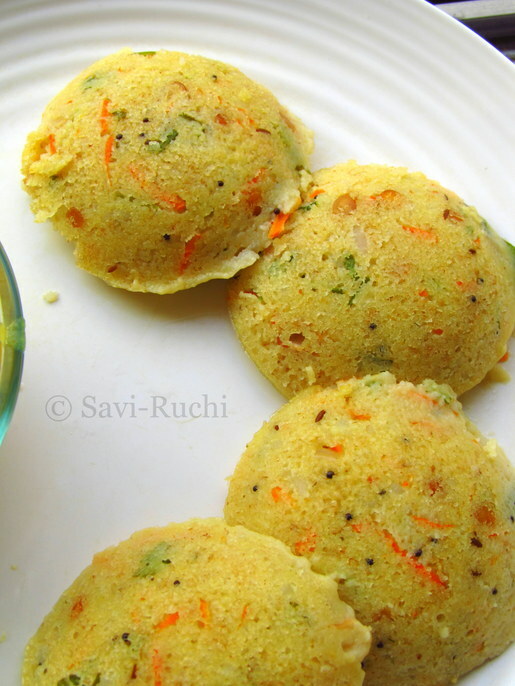 If you are making the idli in two batches, divide the batter into two. Add fruit salt only to the batch going to the steamer. Do not add the fruit salt at once. Sushma, the idlies seem to have turned out great..nice colour and texture! Nice experiment Sushma..Idlis look so soft n delicious! Wow,this is so simple. I can make it any day.